Our tutoring center serves children from Kindergarten through 4th grade - all subjects. All of our students are bi-lingual and as any teacher will tell you, some years the kids seem to be moving ahead faster than others. This year our kindergarteners seem to be struggling with the concept of the written word as a combination of the letters and sounds. Most of them know the names of the letters, and can tell you the beginning sound of an object in a picture, but to add two more letters to make a simple word is beyond their scope. Several weeks ago a student and I were struggling through a simple cvc - 5 page book - and I finally said "watch while I read" and as I read, I realized no one had ever read TO him one on one before. He had never had a close up experience of reading with someone who was pointing at the words and engaging him with even a simple story. We have started reading TO our students on a one to one basis and they are responding by wanting to figure out how the words go together and read back to us. We are fortunate to have high school volunteers getting community service credit, but consider asking the teachers of the higher grades if they have accelerated students or fast finishers who would like to become "reading buddies" to kids whose only experience of listening to a story may have been from the TV or a smart pad. 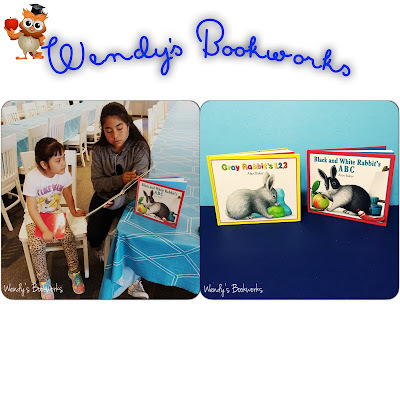 The Little Rabbit" books by Alan Baker are 4 of my favorite books to start with kindergarteners. The language and the art are engaging and great for building visual acuity and vocabulary. Amelia Bedelia books are great for 1st and second graders because they don't always get the jokes without some prompting by a "reading buddy"; and then they enjoy the books even more. The 3rd and 4th graders like to "tandem read" books that they really want to read like "Harry Potter" but are a little too difficult. After a "tandem read" they are often able to read more books in a series on their own. Happy Reading, Everyone! !